Vacair Superstore offer the latest technology within the new Vacuum Pumps and Blowers sector, with vacuum and pressure being given as efficiently and economically as possible. 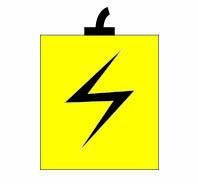 We have over 20 years of dedicated proven supply to a vast array of vacuum pump applications within many industries. By choosing Vacair Superstore you will gain access to the widest choice of Vacuum Pumps from stock, for immediate delivery in the UK. Claw pumps are one of the latest technologies within vacuum pump and pressure pump technology. The working principle of this pump allows 2 claw shaped rotors to rotate in a synchronised way within a moulded cylinder body. They work with fine tolerances and because the unit claw used to generate the vacuum or pressure are contactless there is no need for lubrication within the cylinder body. Because of the lack of contact within the cylinder body they have a much longer life than traditional pumps and have very little need for maintenance over this extended life. Applications include: Wood working, Printing, Cardboard Box Manufacture, Sewage Treatment, Pneumatic Conveying plus many others. These pump units have a rotor position eccentrically in a cylindrical body. The rotor is made with slots in it to house graphite pump vanes, more commonly knows as carbon pump vanes. 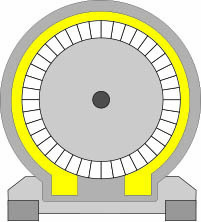 The rotor is turned usually by a motor creating a centrifugal force which pushes the carbon pump vanes outwards from the slot to run against the cylinder body, which then creates separate chambers between each carbon pump vane. 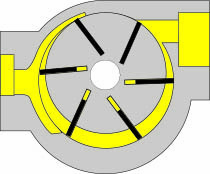 Because the rotor is in an eccentric position within the cylinder body, as the rotor turns this then compresses or expands the volume of air in each chamber, meaning the pump unit draws air in from the inlet port and exhausts compressed air through the outlet port, thus creating vacuum and pressure. The Carbon Pump Vanes that are used are self lubricating meaning there is no need for the unit to have a lubrication agent like oil so hence the unit is called a dry running vacuum pump. Applications include: Woodworking, Pick and Place, Water Aeration, Sewage Treatment, Printing, Print Finishing plus many others. Oil lubricated rotary vane vacuum pumps units work on very much the same principle as dry running rotary vane pumps. Except that the presence of oil as a lubricant enables finer tolerances in the vacuum pump, thus meaning higher levels of vacuum can be achieved, so these units are used when applications demand a higher level of vacuum. Applications include: De-Gassing, Vacuum Bagging, Food packaging, Vacuum Forming, Hospital Vacuum, Laboratory, Autoclave plus many others. The operating principle behind Side channel blowers is simple. 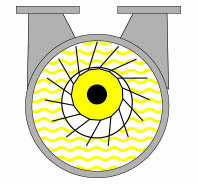 Internally the side channel blower has an impellor (fan) with small fins on it, the rotation of this impellor within the impellor housing (stator) creates a centrifugal force and this in turn creates small vortexes of air that are drawn by these fins from the intake to the exhaust. The unit is mechanically contactless meaning there are no parts that come into contact leading to the units themselves not requiring any routine maintenance. One of the major advantages to Side Channel Blowers are the units can run continuously when fitted with pressure or vacuum relief valves to protect the pump making them a robust unit that can deliver large volumes of air. Applications include: Pneumatic Conveying, Vacuum Holding, Water Aeration, Sewage Treatment, Vacuum Lifting, Paper Handling plus many others. Invertors can be fitted to several pumps to help with efficiency, as the pumps speed can be variably driven and worked in tandem with the machine it is serving. In today’s world where costs have to be examined, these variable speed units can play an important part in reducing energy consumption as the invertor driven units are super-efficient due to the ability to fine tune the speeds they work at. Invertor driven vacuum pumps are used on dry running unit applications. Liquid Ring pumps have an impeller with fins attached to a central shaft, that is mounted eccentrically inside a cylinder body. The working principle is very much the same as rotary vane pumps for this reason. 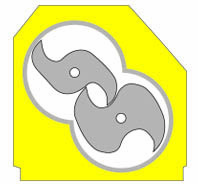 When working the impeller pushes the liquid sealant (water) to the outside of the cylinder body using centrifugal force, hence forming a liquid ring at the outer edge of the cylinder body. Applications include: De-Gassing, Vacuum Forming, Extruding machines, Vacuum Holding, Pottery, Chemical/Pharmaceutical plus many others. We offer vacuum pumps from some of the world’s leading manufacturers such as Becker, Busch, DVP, Elmo Rietschle, Gardner Denver, Oerlikon Leybold, Orion plus many others but we also offer our own branded European made vacuum pumps too! This gives you the ultimate choice for your vacuum pump requirement. 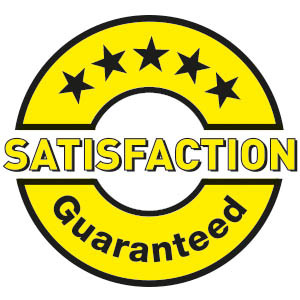 By choosing Vacair Superstore you will also gain access to experienced and expert advice from our factory trained technical staff. They know everything about Vacuum and have experience of vacuum pumps working within many different industries requiring vacuum, from new projects to established common applications. So please call us on +44 (0) 113 2088 501 if you are unsure of your vacuum requirement or indeed which vacuum pump technology would best serve your application.